There are two main types of haemophilia: haemophilia A, which occurs due to not enough clotting factor VIII, and haemophilia B, which occurs due to not enough clotting factor IX. They are typically inherited from one's parents through an X chromosome with a nonfunctional gene. Rarely a new mutation may occur during early development or haemophilia may develop later in life due to antibodies forming against a clotting factor. Other types include haemophilia C, which occurs due to not enough factor XI, and parahaemophilia, which occurs due to not enough factor V. Acquired haemophilia is associated with cancers, autoimmune disorders, and pregnancy. Diagnosis is by testing the blood for its ability to clot and its levels of clotting factors. Prevention may occur by removing an egg, fertilizing it, and testing the embryo before transferring it to the uterus. Treatment is by replacing the missing blood clotting factors. This may be done on a regular basis or during bleeding episodes. Replacement may take place at home or in hospital. The clotting factors are made either from human blood or by recombinant methods. Up to 20% of people develop antibodies to the clotting factors which makes treatment more difficult. The medication desmopressin may be used in those with mild haemophilia A. Studies of gene therapy are in early human trials. Haemophilia A affects about 1 in 5,000–10,000, while haemophilia B affects about 1 in 40,000, males at birth. As haemophilia A and B are both X-linked recessive disorders, females are rarely severely affected. Some females with a nonfunctional gene on one of the X chromosomes may be mildly symptomatic. Haemophilia C occurs equally in both sexes and is mostly found in Ashkenazi Jews. In the 1800s haemophilia was common within the royal families of Europe. The difference between haemophilia A and B was determined in 1952. The word is from the Greek haima αἷμα meaning blood and philia φιλία meaning love. In both haemophilia A and B, there is spontaneous bleeding but a normal bleeding time, normal prothrombin time, normal thrombin time, but prolonged partial thromboplastin time. Internal bleeding is common in people with severe haemophilia and some individuals with moderate haemophilia. The most characteristic type of internal bleed is a joint bleed where blood enters into the joint spaces. This is most common with severe haemophiliacs and can occur spontaneously (without evident trauma). If not treated promptly, joint bleeds can lead to permanent joint damage and disfigurement. Bleeding into soft tissues such as muscles and subcutaneous tissues is less severe but can lead to damage and requires treatment. Females possess two X-chromosomes, males have one X and one Y-chromosome. Since the mutations causing the disease are X-linked recessive, a female carrying the defect on one of her X-chromosomes may not be affected by it, as the equivalent allele on her other chromosome should express itself to produce the necessary clotting factors, due to X inactivation. However, the Y-chromosome in the male has no gene for factors VIII or IX. If the genes responsible for production of factor VIII or factor IX present on a male's X-chromosome are deficient there is no equivalent on the Y-chromosome to cancel it out, so the deficient gene is not masked and the disorder will develop. Since a male receives his single X-chromosome from his mother, the son of a healthy female silently carrying the deficient gene will have a 50% chance of inheriting that gene from her and with it the disease; and if his mother is affected with haemophilia, he will have a 100% chance of being a haemophiliac. In contrast, for a female to inherit the disease, she must receive two deficient X-chromosomes, one from her mother and the other from her father (who must therefore be a haemophiliac himself). Hence, haemophilia is expressed far more commonly among males than females, while double-X females are far more likely to be silent carriers, survive childhood and to submit each of her genetic children to an at least 50% risk of receiving the deficient gene. However, it is possible for female carriers to become mild haemophiliacs due to lyonisation (inactivation) of the X-chromosomes. Haemophiliac daughters are more common than they once were, as improved treatments for the disease have allowed more haemophiliac males to survive to adulthood and become parents. Adult females may experience menorrhagia (heavy periods) due to the bleeding tendency. The pattern of inheritance is criss-cross type. This type of pattern is also seen in colour blindness. A mother who is a carrier has a 50% chance of passing the faulty X-chromosome to her daughter, while an affected father will always pass on the affected gene to his daughters. A son cannot inherit the defective gene from his father. This is a recessive trait and can be passed on if cases are more severe with carrier. Genetic testing and genetic counselling is recommended for families with haemophilia. Prenatal testing, such as amniocentesis, is available to pregnant women who may be carriers of the condition. If a male is afflicted with the disease and has children with a female who is not a carrier, his daughters will be carriers of haemophilia. His sons, however, will not be affected with the disease. The disease is X-linked and the father cannot pass haemophilia through the Y-chromosome. Males with the disorder are then no more likely to pass on the gene to their children than carrier females, though all daughters they sire will be carriers and all sons they father will not have haemophilia (unless the mother is a carrier). Haemophilia can be diagnosed before, during or after birth if there is a family history of the condition. Several options are available to parents. If there is no family history of haemophilia, it is usually only diagnosed when a child begins to walk or crawl. They may experience joint bleeds or easy bruising. Genetic testing and counselling are available to help determine the risk of passing the condition onto a child. This may involve testing a sample of tissue or blood to look for signs of the genetic mutation that causes haemophilia. There's a small risk of these procedures causing problems such as miscarriage or premature labour, so the woman may discuss this with the doctor in charge of her care. If haemophilia is suspected after a child has been born, a blood test can usually confirm the diagnosis. Blood from the umbilical cord can be tested at birth if there's a family history of haemophilia. A blood test will also be able to identify whether a child has haemophilia A or B, and how severe it is. There are several types of haemophilia: haemophilia A, haemophilia B, haemophilia C, parahaemophilia, and acquired haemophilia A.
Haemophilia A, is a recessive X-linked genetic disorder resulting in a deficiency of functional clotting Factor VIII. Haemophilia B, is also a recessive X-linked genetic disorder involving a lack of functional clotting Factor IX. Haemophilia C, is an autosomal genetic disorder involving a lack of functional clotting Factor XI. Haemophilia C is not completely recessive, as heterozygous individuals also show increased bleeding. The type of haemophilia known as parahaemophilia is a mild and rare form and is due to a deficiency in factor V. This type can be inherited or acquired. A non-genetic form of haemophilia is caused by autoantibodies against factor VIII and so is known as acquired haemophilia A. Acquired haemophilia can be associated with cancers, autoimmune disorders and following childbirth. There is no long-term cure. Treatment and prevention of bleeding episodes is done primarily by replacing the missing blood clotting factors. Commercially produced factor concentrates such as "Advate", a recombinant Factor VIII, come as a white powder in a vial which must be mixed with sterile water prior to intravenous injection. Clotting factors are usually not needed in mild haemophilia. In moderate haemophilia clotting factors are typically only needed when bleeding occurs or to prevent bleeding with certain events. In severe haemophilia preventive use is often recommended two or three times a week and may continue for life. Rapid treatment of bleeding episodes decreases damage to the body. Factor VIII is used in haemophilia A and factor IX in haemophilia B. Factor replacement can be either isolated from human blood serum, recombinant, or a combination of the two. Some people develop antibodies (inhibitors) against the replacement factors given to them, so the amount of the factor has to be increased or non-human replacement products must be given, such as porcine factor VIII. If a person becomes refractory to replacement coagulation factor as a result of high levels of circulating inhibitors, this may be partially overcome with recombinant human factor VIII. In early 2008, the US Food and Drug Administration (FDA) approved anti-haemophilic factor genetically engineered from the genes of Chinese hamster ovary cells. Since 1993 recombinant factor products (which are typically cultured in Chinese hamster ovary (CHO) tissue culture cells and involve little, if any human plasma products) have been available and have been widely used in wealthier western countries. While recombinant clotting factor products offer higher purity and safety, they are, like concentrate, extremely expensive, and not generally available in the developing world. In many cases, factor products of any sort are difficult to obtain in developing countries. Clotting factors are either given preventively or on-demand. Preventive use involves the infusion of clotting factor on a regular schedule in order to keep clotting levels sufficiently high to prevent spontaneous bleeding episodes. On-demand (or episodic) treatment involves treating bleeding episodes once they arise. In 2007, a trial comparing on-demand treatment of boys (< 30 months) with haemophilia A with prophylactic treatment (infusions of 25 IU/kg body weight of Factor VIII every other day) in respect to its effect on the prevention of joint-diseases. When the boys reached 6 years of age, 93% of those in the prophylaxis group and 55% of those in the episodic-therapy group had a normal index joint-structure on MRI. Preventative treatment, however, resulted in average costs of $300,000 per year. The author of an editorial published in the same issue of the NEJM supports the idea that prophylactic treatment not only is more effective than on demand treatment but also suggests that starting after the first serious joint-related haemorrhage may be more cost effective than waiting until the fixed age to begin. Most haemophiliacs in third world countries have limited or no access to commercial blood clotting factor products. Desmopressin (DDAVP) may be used in those with mild haemophilia A. Tranexamic acid or epsilon aminocaproic acid may be given along with clotting factors to prevent breakdown of clots. Pain medicines, steroids, and physical therapy may be used to reduce pain and swelling in an affected joint. In those with severe hemophilia A already receiving FVIII, emicizumab may provide some benefit. Anticoagulants such as heparin and warfarin are contraindicated for people with haemophilia as these can aggravate clotting difficulties. Also contraindicated are those drugs which have "blood thinning" side effects. For instance, medicines which contain aspirin, ibuprofen, or naproxen sodium should not be taken because they are well known to have the side effect of prolonged bleeding. Also contraindicated are activities with a high likelihood of trauma, such as motorcycling and skateboarding. Popular sports with very high rates of physical contact and injuries such as American football, hockey, boxing, wrestling, and rugby should be avoided by people with haemophilia. Other active sports like soccer, baseball, and basketball also have a high rate of injuries, but have overall less contact and should be undertaken cautiously and only in consultation with a doctor. Like most aspects of the disorder, life expectancy varies with severity and adequate treatment. People with severe haemophilia who don't receive adequate, modern treatment have greatly shortened lifespans and often do not reach maturity. Prior to the 1960s when effective treatment became available, average life expectancy was only 11 years. By the 1980s the life span of the average haemophiliac receiving appropriate treatment was 50–60 years. Today with appropriate treatment, males with haemophilia typically have a near normal quality of life with an average lifespan approximately 10 years shorter than an unaffected male. Since the 1980s the primary leading cause of death of people with severe haemophilia has shifted from haemorrhage to HIV/AIDS acquired through treatment with contaminated blood products. The second leading cause of death related to severe haemophilia complications is intracranial haemorrhage which today accounts for one third of all deaths of people with haemophilia. Two other major causes of death include hepatitis infections causing cirrhosis and obstruction of air or blood flow due to soft tissue haemorrhage. Haemophilia is rare, with only about 1 instance in every 10,000 births (or 1 in 5,000 male births) for haemophilia A and 1 in 50,000 births for haemophilia B. About 18,000 people in the United States have haemophilia. Each year in the US, about 400 babies are born with the disorder. Haemophilia usually occurs in males and less often in females. It is estimated that about 2500 Canadians have haemophilia A, and about 500 Canadians have haemophilia B. "About seventy or eighty years ago, a woman by name of Smith, settled in the vicinity of Plymouth, New Hampshire, and transmitted the following idiosyncrasy to her descendants. It is one, she observed, to which her family is unfortunately subject, and had been the source not only of great solicitude, but frequently the cause of death. If the least scratch is made on the skin of some of them, as mortal a hemorrhagy will eventually ensue as if the largest wound is inflicted. (…) So assured are the members of this family of the terrible consequences of the least wound, that they will not suffer themselves to be bled on any consideration, having lost a relation by not being able to stop the discharge occasioned by this operation." The first medical professional to describe the disease was Abulcasis. In the tenth century he described families whose males died of bleeding after only minor traumas. While many other such descriptive and practical references to the disease appear throughout historical writings, scientific analysis did not begin until the start of the nineteenth century. In 1803, John Conrad Otto, a Philadelphian physician, wrote an account about "a hemorrhagic disposition existing in certain families" in which he called the affected males "bleeders". He recognised that the disorder was hereditary and that it affected mostly males and was passed down by healthy females. His paper was the second paper to describe important characteristics of an X-linked genetic disorder (the first paper being a description of colour blindness by John Dalton who studied his own family). Otto was able to trace the disease back to a woman who settled near Plymouth, NH in 1720. The idea that affected males could pass the trait onto their unaffected daughters was not described until 1813 when John F. Hay, published an account in The New England Journal of Medicine. In 1924, a Finnish doctor discovered a hereditary bleeding disorder similar to haemophilia localised in the Åland Islands, southwest of Finland. This bleeding disorder is called "Von Willebrand Disease". The term "haemophilia" is derived from the term "haemorrhaphilia" which was used in a description of the condition written by Friedrich Hopff in 1828, while he was a student at the University of Zurich. In 1937, Patek and Taylor, two doctors from Harvard, discovered anti-haemophilic globulin. In 1947, Pavlosky, a doctor from Buenos Aires, found haemophilia A and haemophilia B to be separate diseases by doing a lab test. This test was done by transferring the blood of one haemophiliac to another haemophiliac. The fact that this corrected the clotting problem showed that there was more than one form of haemophilia. Queen Victoria passed haemophilia on to many of her descendants. Haemophilia has featured prominently in European royalty and thus is sometimes known as 'the royal disease'. 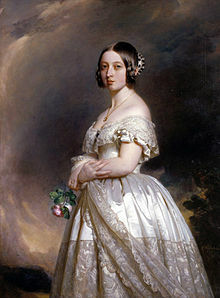 Queen Victoria passed the mutation for haemophilia B to her son Leopold and, through two of her daughters, Alice and Beatrice, to various royals across the continent, including the royal families of Spain, Germany, and Russia. In Russia, Tsarevich Alexei, the son and heir of Tsar Nicholas II, famously suffered from haemophilia, which he had gotten from his mother, Empress Alexandra, one of Queen Victoria's granddaughters. The haemophilia of Alexei would result in the rise to prominence of the Russian mystic Grigori Rasputin, at the imperial court. It was claimed that Rasputin was successful at treating Tsarevich Alexei's haemophilia. At the time, a common treatment administered by professional doctors was to use aspirin, which worsened rather than lessened the problem. It is believed that, by simply advising against the medical treatment, Rasputin could bring visible and significant improvement to the condition of Tsarevich Alexei. In Spain, Queen Victoria's youngest daughter, Princess Beatrice, had a daughter Victoria Eugenie of Battenberg, who later became Queen of Spain. Two of her sons were haemophiliacs and both died from minor car accidents. Her eldest son, Prince Alfonso of Spain, Prince of Asturias, died at the age of 31 from internal bleeding after his car hit a telephone booth. Her youngest son, Infante Gonzalo, died at age 19 from abdominal bleeding following a minor car accident in which he and his sister hit a wall while avoiding a cyclist. Neither appeared injured or sought immediate medical care and Gonzalo died two days later from internal bleeding. 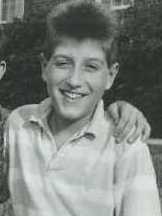 Ryan White was an American haemophiliac who became infected with HIV/AIDS through contaminated blood products. Up until late-1985 many people with haemophilia received clotting factor products that posed a risk of HIV and hepatitis C infection, the plasma used to create the products was not screened or tested, neither had most of the products been subject to any form of viral inactivation. Tens of thousands worldwide were infected as a result of contaminated factor products including more than 10,000 people in the United States, 3,500 British, 1,400 Japanese, 700 Canadians, 250 Irish, and 115 Iraqis. Infection via the tainted factor products had mostly stopped by 1986 by which time viral inactivation methods had largely been put into place, although some products were shown to still be dangerous in 1987. In those with severe haemophilia, gene therapy may reduce symptoms to those that a mild or moderate person with haemophilia might have. The best results have been found in haemophilia B. In 2016 early stage human research was ongoing with a few sites recruiting participants. In 2017 a gene therapy trial on nine people with haemophilia A reported that high doses did better than low doses. It is not currently an accepted treatment for haemophilia. ^ a b c d "What Are the Signs and Symptoms of Hemophilia?". NHLBI. July 13, 2013. Archived from the original on 17 September 2016. Retrieved 8 September 2016. ^ a b c d e f "What Is Hemophilia?". NHLBI. July 13, 2013. Archived from the original on 4 October 2016. Retrieved 8 September 2016. ^ a b c d e f g "Hemophilia Facts". CDC. August 26, 2014. Archived from the original on 27 August 2016. Retrieved 8 September 2016. ^ a b c d "How Is Hemophilia Diagnosed?". NHLBI. July 13, 2013. Archived from the original on 15 September 2016. Retrieved 10 September 2016. ^ a b c d e Wynbrandt, James; Ludman, Mark D. (1 January 2009). The Encyclopedia of Genetic Disorders and Birth Defects. Infobase Publishing. p. 194. ISBN 978-1-4381-2095-9. Archived from the original on 8 January 2014. Retrieved 25 August 2013. ^ a b c d "What Causes Hemophilia?". NHLBI. July 13, 2013. Archived from the original on 8 September 2016. Retrieved 10 September 2016. ^ Franchini, M; Mannucci, PM (October 2011). "Inhibitors of propagation of coagulation (factors VIII, IX and XI): a review of current therapeutic practice". British Journal of Clinical Pharmacology. 72 (4): 553–62. doi:10.1111/j.1365-2125.2010.03899.x. PMC 3195733. PMID 21204915. ^ a b Thalji, N; Camire, RM (September 2013). "Parahemophilia: new insights into factor v deficiency". Seminars in Thrombosis and Hemostasis. 39 (6): 607–12. doi:10.1055/s-0033-1349224. PMID 23893775. ^ Franchini, M; Mannucci, PM (December 2013). "Acquired haemophilia A: a 2013 update". Thrombosis and Haemostasis. 110 (6): 1114–20. CiteSeerX 10.1.1.684.7962. doi:10.1160/TH13-05-0363. PMID 24008306. ^ a b Mulliez, SM; Vantilborgh, A; Devreese, KM (June 2014). "Acquired hemophilia: a case report and review of the literature". International Journal of Laboratory Hematology. 36 (3): 398–407. doi:10.1111/ijlh.12210. PMID 24750687. ^ a b c d e f g h i j k "How Is Hemophilia Treated?". NHLBI. July 13, 2013. Archived from the original on 17 September 2016. Retrieved 10 September 2016. ^ a b c d Peyvandi, F; Garagiola, I; Young, G (9 July 2016). "The past and future of haemophilia: diagnosis, treatments, and its complications". Lancet. 388 (10040): 187–97. doi:10.1016/s0140-6736(15)01123-x. PMID 26897598. ^ Douglas Harper. "Online Etymology Dictionary". Archived from the original on 6 March 2008. Retrieved 10 October 2007. ^ Types of Bleeds Archived 2010-02-13 at the Wayback Machine National Hemophilia Foundation. ^ Key facts: what is haemophilia? Archived 2009-05-23 at the Wayback Machine The Haemophilia Society. ^ a b c d e f g Hemophilia Overview Archived 2009-09-27 at the Wayback Machine eMedicine from webMD. Dimitrios P Agaliotis, MD, PhD, FACP, Robert A Zaiden, MD, Fellow, and Saduman Ozturk, PA-C. Updated: 24 November 2009. ^ Rodriguez-Merchan, E. Carlos (2010). "Musculoskeletal Complications of Hemophilia". HSS J. 6 (1): 37–42. doi:10.1007/s11420-009-9140-9. PMC 2821487. PMID 19921342. ^ Valentino LA, Hakobyan N, Rodriguez N, Hoots WK (November 2007). "Pathogenesis of haemophilic synovitis: experimental studies on blood-induced joint damage". Haemophilia. 13 Suppl 3: 10–3. doi:10.1111/j.1365-2516.2007.01534.x. PMID 17822515. ^ a b c d e Choices, NHS. "Haemophilia - Diagnosis - NHS Choices". www.nhs.uk. Archived from the original on 2017-01-01. Retrieved 2017-01-01. ^ "What Is Hemophilia? - NHLBI, NIH". www.nhlbi.nih.gov. Archived from the original on 2 July 2016. Retrieved 21 June 2016. ^ a b "Hemophilia A: MedlinePlus Medical Encyclopedia". www.nlm.nih.gov. Archived from the original on 2016-07-05. Retrieved 2016-06-21. ^ "Hemophilia B: MedlinePlus Medical Encyclopedia". www.nlm.nih.gov. Archived from the original on 2016-07-05. Retrieved 2016-06-21. ^ Manco-Johnson MJ, Abshire TC, Shapiro AD, Riske B, Hacker MR, Kilcoyne R, Ingram JD, Manco-Johnson ML, Funk S, Jacobson L, Valentino LA, Hoots WK, Buchanan GR, DiMichele D, Recht M, Brown D, Leissinger C, Bleak S, Cohen A, Mathew P, Matsunaga A, Medeiros D, Nugent D, Thomas GA, Thompson AA, McRedmond K, Soucie JM, Austin H, Evatt BL (2007). "Prophylaxis versus episodic treatment to prevent joint disease in boys with severe hemophilia". N. Engl. J. Med. 357 (6): 535–544. doi:10.1056/NEJMoa067659. PMID 17687129. ^ Roosendaal G, Lafeber F (2007). "Prophylactic treatment for prevention of joint disease in hemophilia—cost versus benefit". N. Engl. J. Med. 357 (6): 603–605. doi:10.1056/NEJMe078098. PMID 17687136. Archived from the original on 2009-02-24. ^ "Data Collection - WFH Annual Global Survey - World Federation of Hemophilia". www.wfh.org. Retrieved 2018-12-10. ^ Research, Center for Drug Evaluation and. "Approved Drugs - FDA approves emicizumab-kxwh for hemophilia A with or without factor VIII inhibitors". www.fda.gov. Retrieved 2018-12-10. ^ a b c How to Deal with Hemophilia Archived 2007-02-14 at the Wayback Machine Reviewed by: Larissa Hirsch, MD 2007. kidshealth.org by Nemours. Retrieved 23 January 2010. ^ "Playing it Safe: Bleeding Disorders, Sports and Exercise Archived 2010-09-14 at the Wayback Machine". Booklet. National Hemophilia Foundation. ^ "U.S. National Library of Medicine". Archived from the original on 12 October 2007. Retrieved 2 December 2007. ^ "Otto JC. The Medical Repository. 1803; Vol VI (1): 1-4". Genmedhist.info. Archived from the original on 2014-09-04. Retrieved 2013-11-21. ^ "Case of the Week 175". University of Utah Medical Library. Archived from the original on 19 May 2011. ^ a b Nilsson IM (1994). "Haemophilia—then and now". Sydsvenska Medicinhistoriska Sallskapets Arsskrift. 31: 33–52. PMID 11640407. ^ DIGITISED EARLY PAPERS AND BOOKS ON HUMAN AND MEDICAL GENETICS Archived 2011-07-21 at the Wayback Machine Genetics and Medicine Historical Network, Cardiff University. ^ Hay J (July 1813). "Account of a remarkable hæmorrhagic disposition, existing in many individuals of the same family". N Engl J Med Surg. 2 (3): 221–5. doi:10.1056/NEJM181307010020302. ^ "Haemophilia Special Issue: von Willebrand's Disease: a Report from a Meeting in the Åland Islands". Haemophilia. 18. 2012. doi:10.1111/hae.2012.18.issue-s6. ^ "The History of hemophilia". Archived from the original on 31 March 2009. Retrieved 5 June 2009. ^ Chapter 38 Coagulation Factors V and VIII by GC White and GE Gilbert Archived 2017-09-11 at the Wayback Machine in Blood: principles and practice of hematology: 2nd edition. 2003. Eds. Robert I. Handin, Samuel E. Lux, Thomas P. Stossel. ISBN 978-0-7817-1993-3. ^ Michael Price (8 October 2009). "Case Closed: Famous Royals Suffered From Hemophilia". ScienceNOW Daily News. AAAS. Archived from the original on 12 October 2009. Retrieved 9 October 2009. ^ Evgeny I. Rogaev; et al. (8 October 2009). "Genotype Analysis Identifies the Cause of the 'Royal Disease'". Science. 326 (5954): 817. doi:10.1126/science.1180660. PMID 19815722. Archived from the original on 13 October 2009. Retrieved 9 October 2009. ^ White GC (2010). "Hemophilia: an amazing 35-year journey from the depths of HIV to the threshold of cure". Trans. Am. Clin. Climatol. Assoc. 121: 61–73, discussion 74–5. PMC 2917149. PMID 20697550. ^ "Japan's Response ro the Spread of HIV/AIDS" (PDF). Japan Center for International Exchange. 2004. ^ "Commemoration of the Tainted Blood Tragedy - Canadian Hemophilia Society". www.hemophilia.ca. ^ "Report of the Tribunal of Inquiry into the Infection with HIV and Hepatitis C of Persons with Haemophilia and Related Matters | Department of Health". health.gov.ie. ^ Zielbauer, Paul von (4 September 2006). "Iraqis Infected by H.I.V.-Tainted Blood Try New Tool: A Lawsuit". The New York Times. ^ Lowe GD (August 1987). "Haemophilia, blood products and HIV infection". Scott Med J. 32 (4): 109–11. doi:10.1177/003693308703200404. PMID 3672104. ^ Picard A. "RCMP lay 32 charges in tainted-blood case". The Globe and Mail. ^ Rangarajan S, Walsh L, Lester W, Perry D, Madan B, Laffan M, Yu H, Vettermann C, Pierce GF, Wong WY, Pasi KJ (December 2017). "AAV5-Factor VIII Gene Transfer in Severe Hemophilia A". N. Engl. J. Med. 377 (26): 2519–2530. doi:10.1056/NEJMoa1708483. hdl:10044/1/57163. PMID 29224506. ^ van den Berg HM (December 2017). "A Cure for Hemophilia within Reach". N. Engl. J. Med. 377 (26): 2592–2593. doi:10.1056/NEJMe1713888. PMID 29224412. Wikimedia Commons has media related to Hemophilia.